℗ + © Kiff™ / PIAS Germany. Released in a two-fold digisleeve. 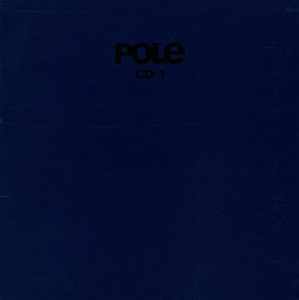 Pole debut album. In 1999-2002 I was very much interested in glitch as the new ambient. As ambient is my favorite style, some of the glitch offered a fresh perspective on ambient soundscapes and even techno through a radio interference distortion. Glitch is really just an evolution of idm and ambient. I stay clear of the word micro as that would be for the akufen etc house glitch stuff. Having said that for speaking my perspective on the genre, Pole does a very good job at making it memorable. This is definitely in the top 10 of glitch history of albums. Thanks to romantic, meloncholly and dub additions. The bassline attention also helps this have lasting strength. And none of the glitch is annoying to be different helps the timeless feel. Would this be a good starting place for people who do not know glitch or have an ambient background? I would say no. It's still advanced listening and generally more dark than normal. For colder glitch this is hard to top. Very European. I feel like listening to this in an abstract art museum with cold floors and sparse furniture. A period piece but it's one you want to revisit.